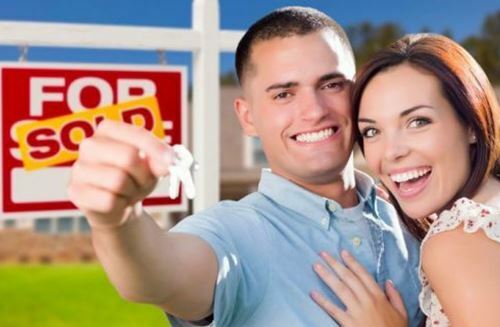 The previous post discusses three tips for first time home buyers. You can begin by making a mortgage loan. However, more important is assessing how much mortgage and down payment you can really afford. Calculate the existing debt and credit cards. Then, talk with a financial planner before making a decision. You may face a fact that the cash at your hands is not enough even for down payment. So, if you really want to buy a dream home, make sure to be serious about saving for paying a down payment. When you are on a plan to buy a house, do not make a big purchase using your credit cards. The lender will check you current financial status before approving the loan application. The amount you should save depends upon the house you want to buy and upon your qualification. Let’s say that you qualify for a 1,000,000 mortgage. However, you want to purchase a 1,2 million home. In other words, you will need to buy the $200,000 as a down payment. The $200,000 is added with the standard down payment. These make up the total down payment you have to pay. If you do not have enough for down payment, ask for help from a family member or friends. Avoid another loan. This will ruin you plan to buy a home. Alternatively, you can sell valuable assets or jewelries. The shorter the mortgage term is, the more cost-prohibitive it is for first time home buyers. However, should you take a 30-year mortgage? The amount you will pay every month may seem lower. Now, consider the interest rate. The longer the mortgage term is, the more interest rates you actually pay. Shorter mortgage allows you to save on interest. Actually, financial planners do not suggest paying off your mortgage faster than the actual period. Take for instance; you take a 30-year mortgage. Then, you pay off the mortgage after 15 years. The lender will likely charge you a fine or interest rates for the rest. In other words, you technically pay more interest, right? However, the case is different when the mortgage rates are increasing annually. Paying off the mortgage faster can be a better choice in this instance. As discussed above, first time home buyers may try to avoid more interest rates by taking shorter-term mortgage. Is this a wise decision? At first, the difference between the estimated mortgage payment and the actual price of the house may seem significant. Is this a justification to take bigger monthly payment? Many home owners feel too house poor because of bigger payment. You will need more money for furnish, home equipment, supplies, and decors. If you use all the money you have for a down payment or monthly payment, you will feel stressed every month. Those are six tips suggested by David Rae for first time home buyers. The key is determining your financial capability. Make sure to buy only one that you can afford. This way, you can avoid the feeling of house poor.